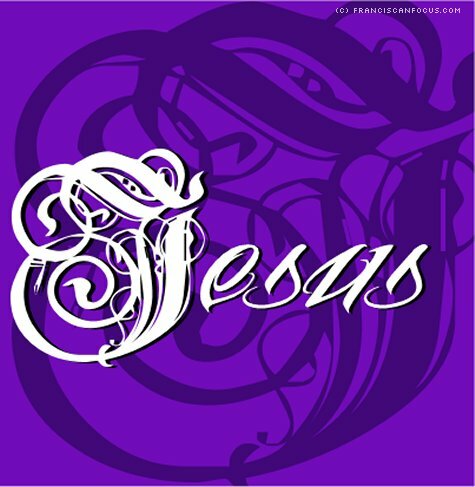 "The Holy Name of Jesus was invoked by the faithful from the very beginning of the Church. In the fourteenth century it began to be venerated with liturgical celebrations. Saint Bernardine of Siena and his disciples zealously promoted the veneration of this Name throughout Italy and Europe, and in the sixteenth century the Holy Name was introduced as a liturgical feast. In the year 1530 Pope Clement VII first permitted the Order of Friars Minor [Franciscans] to celebrate the Name of Jesus with its own proper Office." "Jesus' us-centered orientation wasn't an afterthought; we are the reason Jesus came to earth, lived, taught, healed, suffered, died, and rose again. Perhaps this is why saints throughout the ages have found in the simple name of 'Jesus' one of their favorite and most fruitful prayers. Merely invoking our Lord, repeating his name over and over again, gives rest to our souls, because that's exactly what he came to do."